What if Harriet Tubman and Susan B. Anthony sat down over tea to reminisce about their extraordinary lives? What would they recall of their triumphs and struggles as they fought to achieve civil rights for African Americans and equal rights for women? And what other historical figures played parts in their stories? 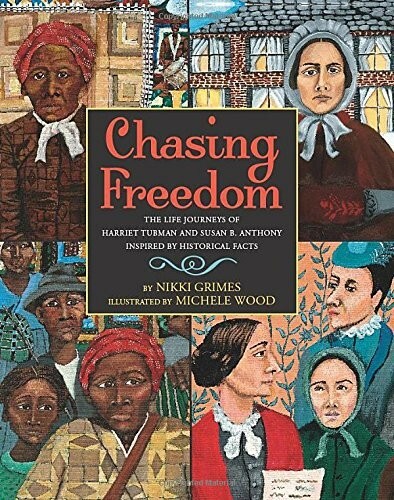 These questions led Coretta Scott King Award winner Nikki Grimes to create Chasing Freedom, an engaging work of historical fiction about two of the nineteenth century's most powerful, and inspiring, American women. 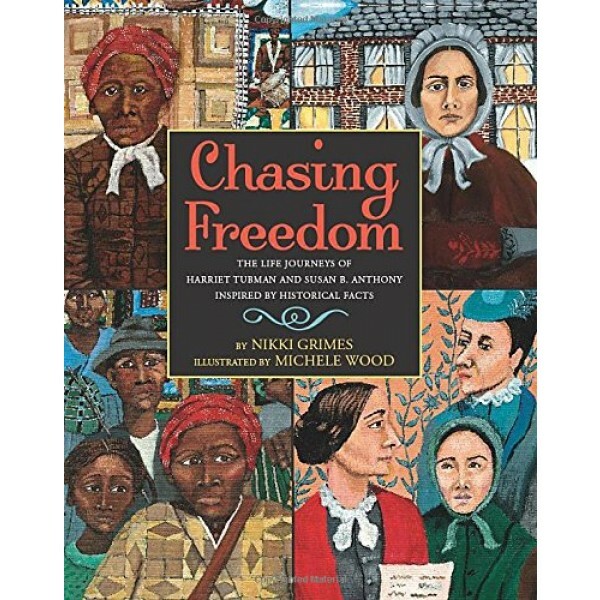 With breathtaking illustrations by Coretta Scott King Award winner Michele Wood, Chasing Freedom richly imagines the experiences of Tubman and Anthony, set against the backdrop of the Underground Railroad, the Civil War, and the Women's Suffrage Movement. Additional back matter invites curious young readers to further explore this period in history -- and the larger-than-life figures who lived it.